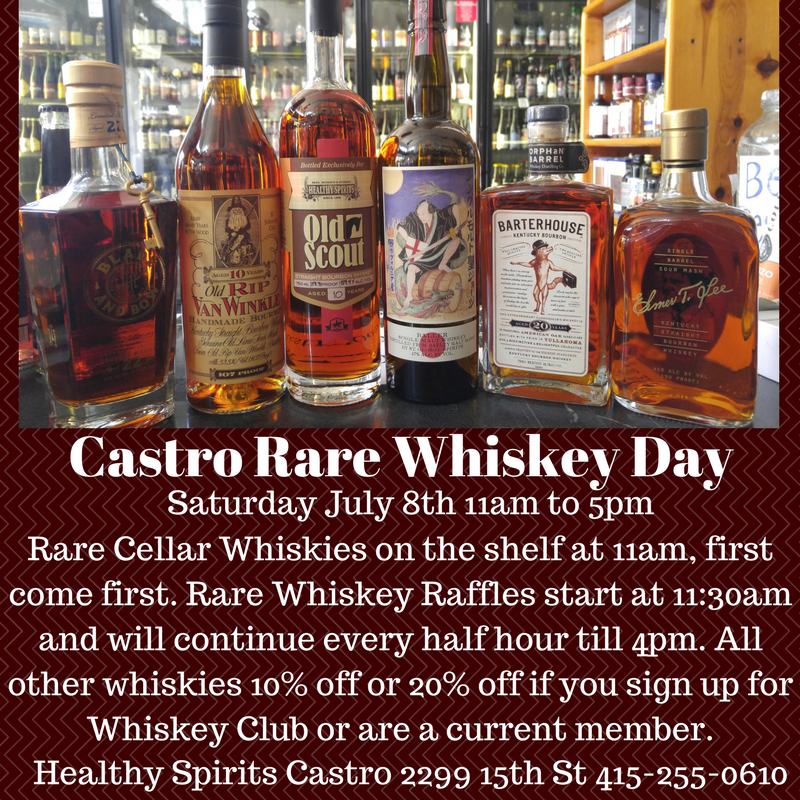 Healthy Spirits – Castro Rare Whiskey Day July 8th! 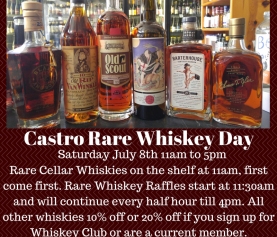 Home / Uncategorized / Castro Rare Whiskey Day July 8th! 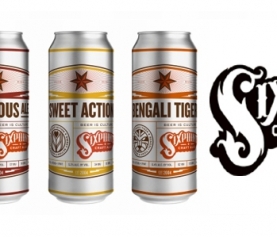 We’re excited to announce another installment of Rare Whiskey Day a Healthy Spirits Castro! 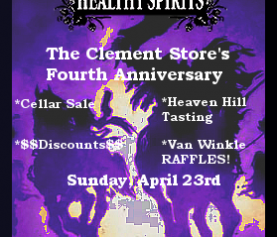 All are invited and we hope to make several Rare Whiskey dreams come true. 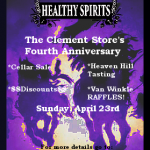 All non-cellar Whiskies in the store will be 10% off, or 20% off if you sign up for Whiskey Club or are a current Whiskey Club member. With some heavily discounted featured Whiskies as well. Join us for a day of fun in the Castro store Saturday July 8th, we’ll have some great deals on featured whiskies and some other surprises along the way. Hope to see everyone there. Cheers!